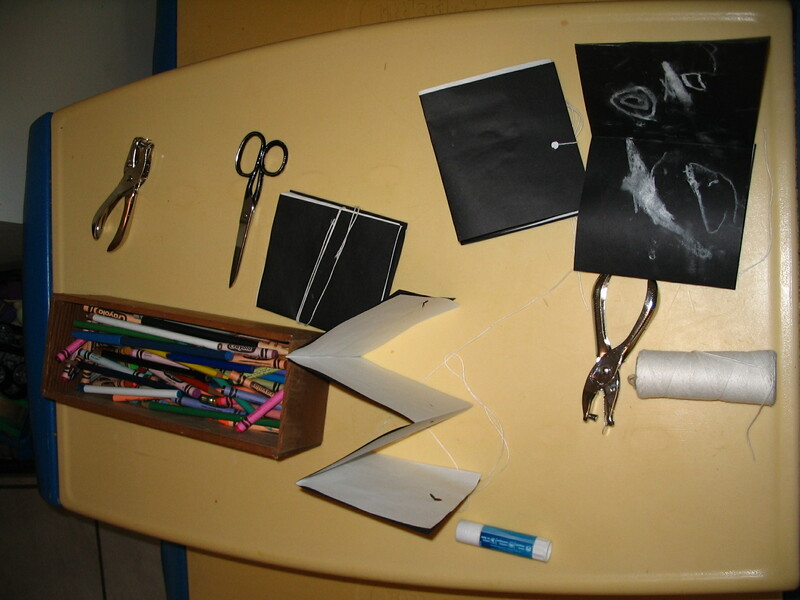 This book making project was designed to make something that the kids are familiar with. 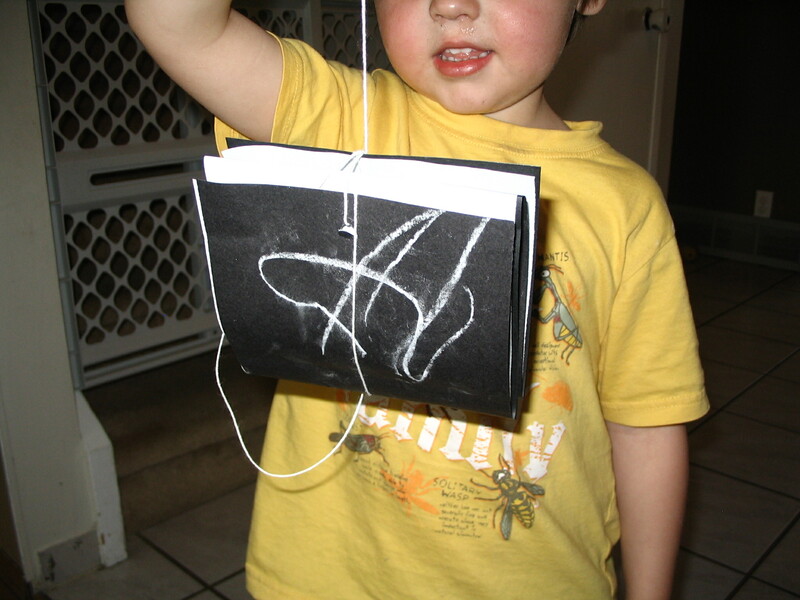 Storytelling with pictures and words are great visuals, but telling their story from their handmade books would encourage various learning themes. 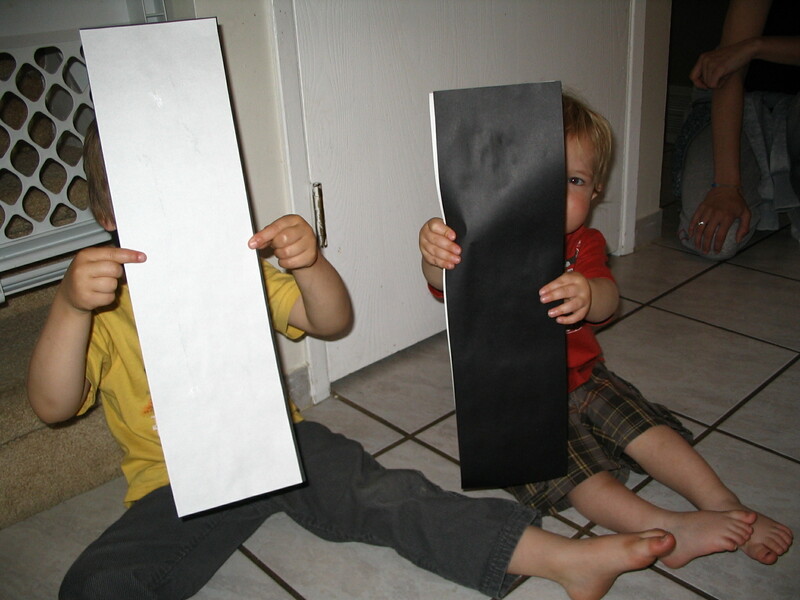 The projects includes black and white paper, creating contrast which then allows the student to try white chalk on the black paper and crayon on the white paper. 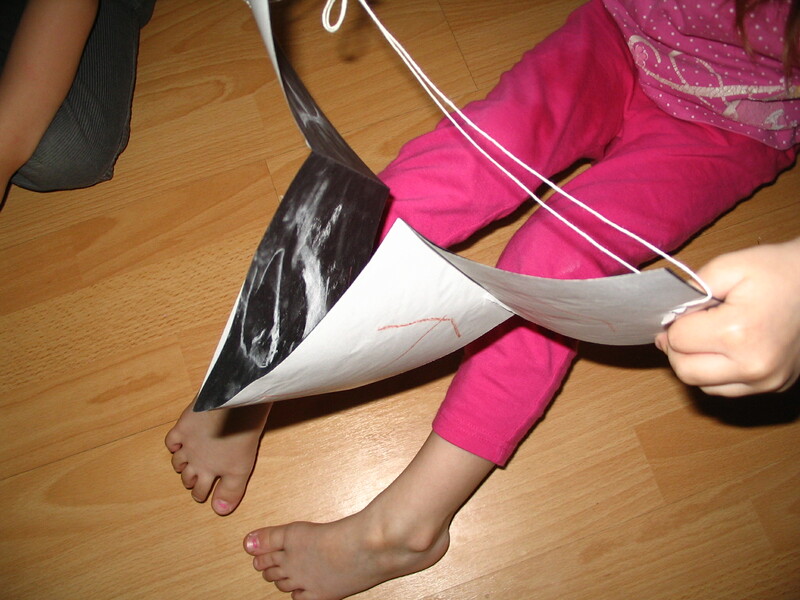 The glue stick and folding encourage building, and who knew that a hole punch and string would be the initiative for creativity book making and purpose. Once everyone had a book we sat in a circle and told our stories. 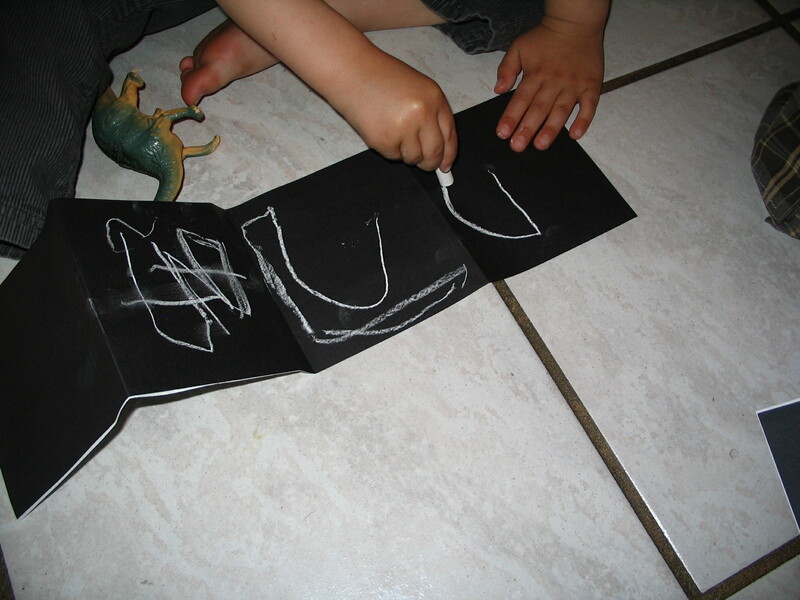 The children were very interested in this process and enjoyed the idea holding their book and telling an imaginary story, the images and words were coming from their playful and fun minds. 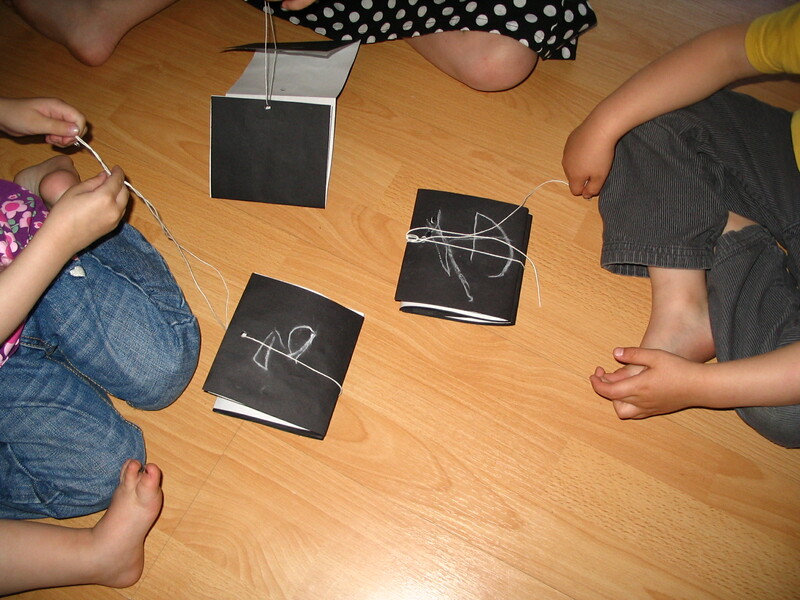 Connecting to their books through reading and images is the next step to the book making project. 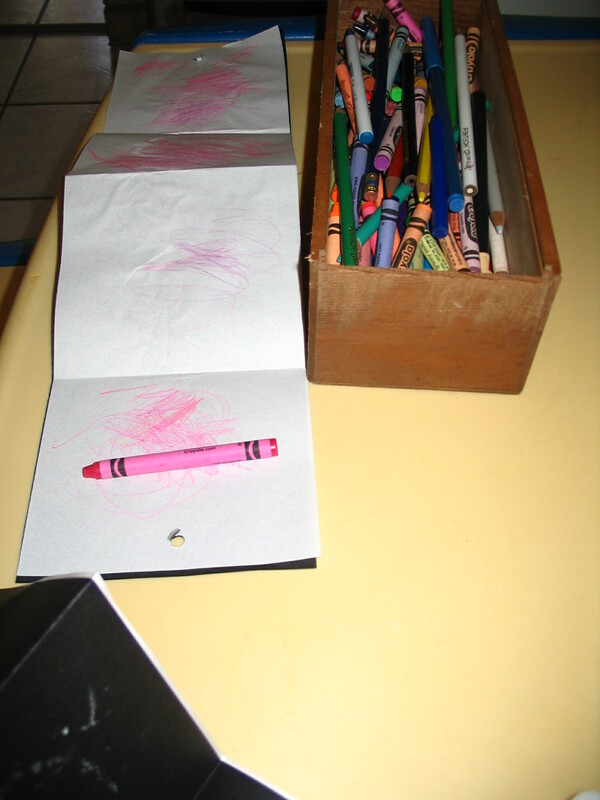 This entry was posted in Art Education for Preschool and tagged bookmaking for kids, crayons, glue stick, kids art, paper books, story telling, white and black paper. Bookmark the permalink.